The inauguration of the Irish Cruiser Racing Association's (ICRA) first ever 'West of Ireland' commodore will take place in Limerick next March, a month before the start of the 2016 summer sailing season. The move away from the traditional November ICRA Conference date is to produce a more relevant 'pre–season agenda', an ICRA spokesman says. The one day event is also being designed to provide members with up–to–the minute information on a bumper Dublin–based 2016 national championships in June (10-11th). Delegates will elect WIORA stalwart Simon McGibney, from Kilrush in County Clare, as commodore and also hear from outgoing commodore Nobby Reilly of Howth YC. Reilly's last role in office will be to present ICRA's coveted 2015 'Boat of the Year Award' as well as welcoming the national championships back to his home club. The forum will include round table discussions on the future direction of the Irish sailing scene. The annual pow–wow, provisionally earmarked for March 5, (venue to be confirmed) is open to all sailors and will include a number of key presentations including a Commodore's Cup briefing on plans for Ireland's Cup defence in Cowes plus the impact of the new Cup format on the three boat team configuration. 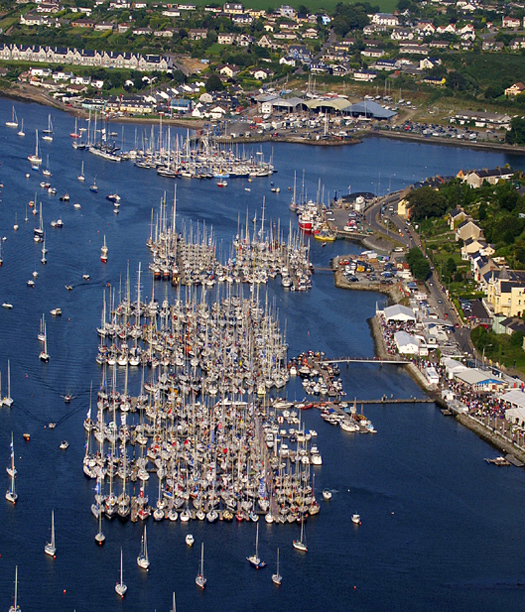 There will also be details on June's Round Ireland Race from Wicklow as well as July's Cork Week Regatta at Crosshaven. Any further items for the ICRA conference agenda are welcome.